Across Europe, people are living longer and in better health. 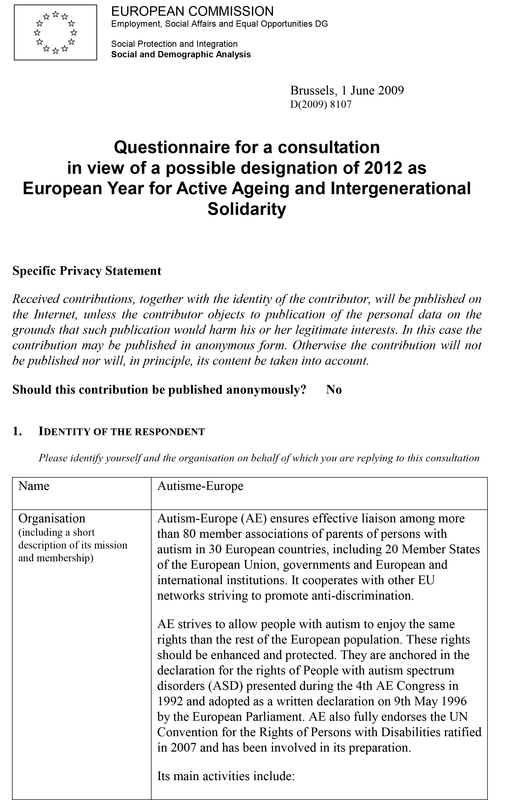 Although the life expectancy of people with autism has been shown to be statistically lower than that of the neurotypical population, the effects of ageing on the autistic community are nevertheless becoming an increasingly pressing area of focus for support services and researchers. A recent study by the UK-based organisation Autistica has revealed that people on the autism spectrum live an average of 16 years less than their neurotypical counterparts. 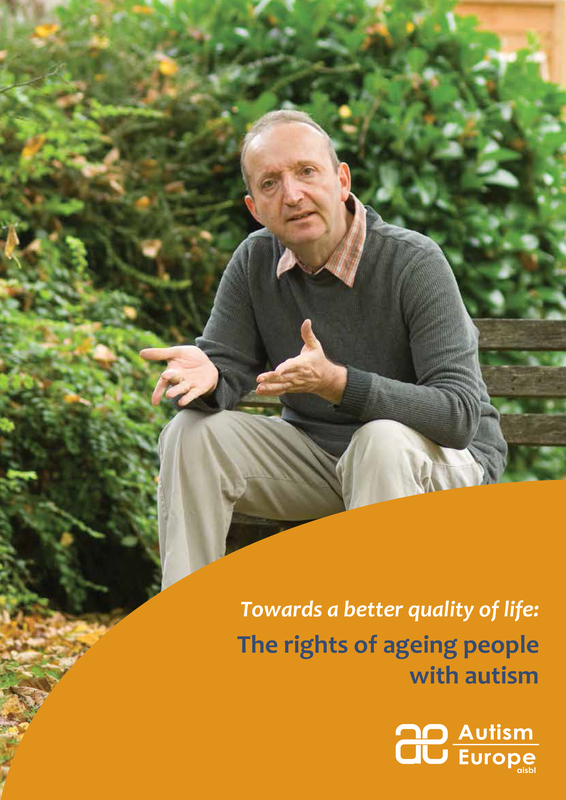 With the report outlining social factors, as well as comorbidities, being largely behind this shocking figure, the spotlight has fallen on how to better support autistic people with the struggles associated with old age. Largely due to a lack of public support, many adults with autism often remain quite dependent on their families for the support that they require, including housing, financial support and 24 hour assistance. As families themselves grown older, less able to offer the support needed, and eventually pass away, the unsustainability of a system that relies so heavily of family support comes to light. 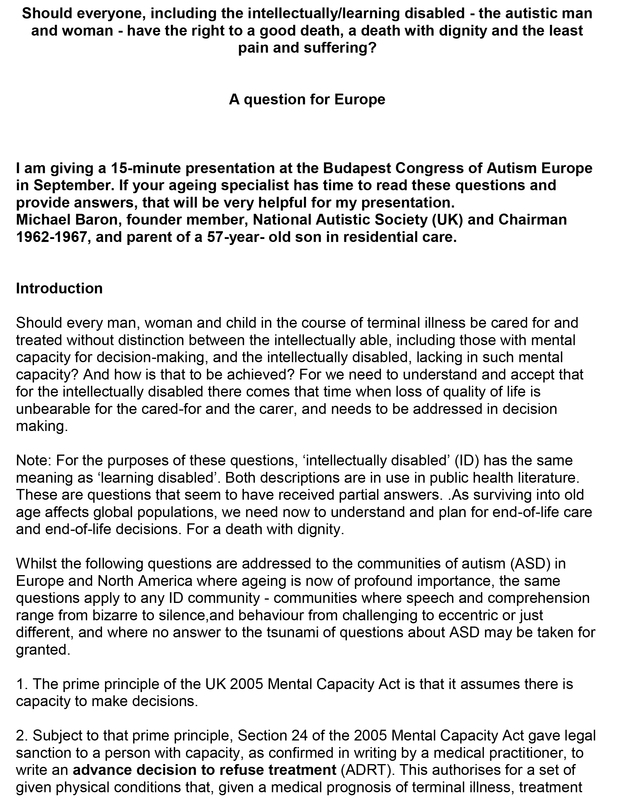 There is therefore an urgent need for governments to address the support needs of the ageing autism community, and to ensure that people with autism can continue to live in dignity, and enjoy their rights, well into later life. 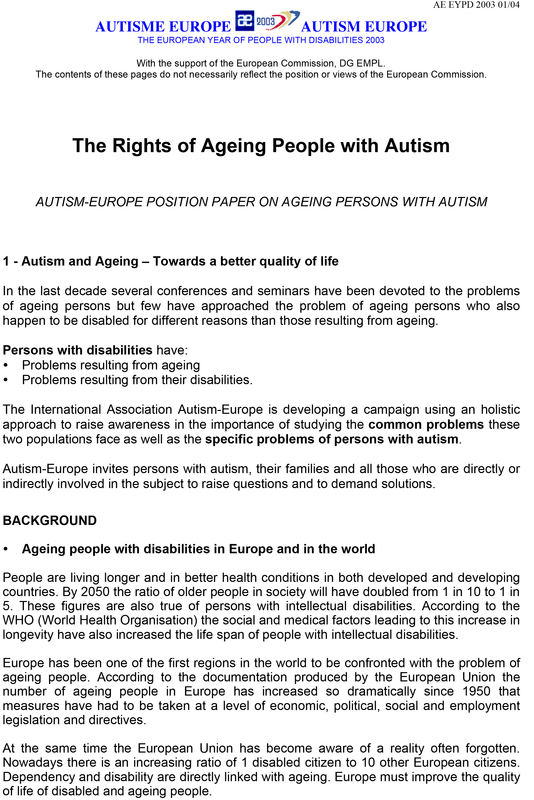 This right is mentioned specifically in the United Nations Convention on the Rights of Persons with Disabilities, which states that people with disabilities, including autism, have the right to appropriate support throughout their lifetimes.